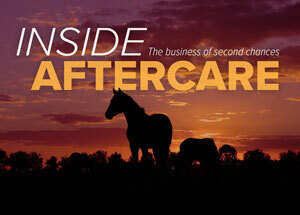 For the first time, Thoroughbred aftercare will have a deserved spotlight in a part of the larger international racing conversation. Coinciding with the Pan American conference in Washington D.C., the newly established International Forum for the Aftercare of Racehorses (IFAR) May 17-18 hopes to highlight many topics including the promotion of Thoroughbreds in second careers, helping racing owners bridge the gap to their horses' retirement, and even ways to connect aftercare efforts and horseplayers. Emphasizing the diverse landscape that is aftercare, the event's two keynote speakers, one on each day, come from completely different realms. The first is two-time Olympian Boyd Martin, an eventing rider whose well-known mounts include off-track Thoroughbred Blackfoot Mystery. 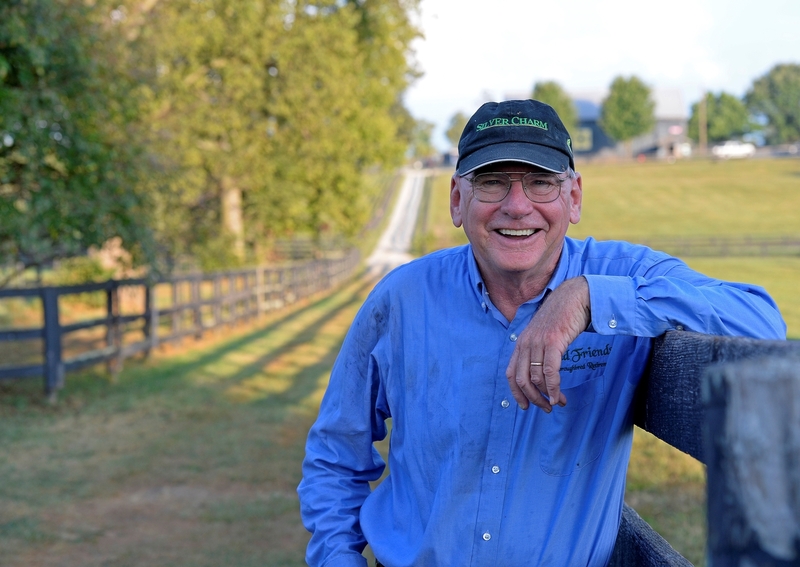 The second is film critic-turned-farm owner Michael Blowen, founder of the Thoroughbred Aftercare Alliance-accredited Old Friends Equine, a Thoroughbred retirement facility that is home to champions Silver Charm and War Emblem, among others. The latter couldn't be more excited to share his story and exchange ideas with the international attendees. "I'm just so excited that all of these people from all over the world are really interested and seriously considering retirement for these racehorses, because (the horses have) earned it and deserve it," Blowen said. "It's a real thrill for me and it's a real honor that they'd think anything I'd have to say is important, so I'm very flattered." Although Blowen acknowledges that Old Friends is not the typical aftercare facility, since it is the final home for its horses, nor is its model the solution to what to do with horses after their racing and breeding careers are over, he thinks that the Old Friends' business strategy could appeal to others. "What I really want to discuss, what I'm really trying to establish, is that these horses have tremendous value once their racing and breeding careers are over," he said. "It's fairly obvious that Old Friends is not the solution to what to do with retired racehorses because we don't adopt them out—once they are retired to us they are retired—it's not a way to handle the larger (aftercare) picture. But it has proven in its own little way, that these horses do have tremendous economic value even if they can't be retrained and moved along. I'm hoping that people in other countries will recognize that these horses have value basically as celebrities, and people want to come and visit them." Since its founding in 2003, Old Friends has evolved from its initial one-horse operation in Georgetown, Ky. to a 175-horse herd and two other facilities—Old Friends at Cabin Creek in Greenfield Center, N.Y., and Old Friends at Kentucky Downs in Franklin, Ky. In addition to Silver Charm and War Emblem, they are home to other grade 1 winners and fan favorites Amazombie, Little Mike, Alphabet Soup, Sarava, Touch Gold, and Game On Dude. One of the farm's income streams is its tourism draw, the popular daily tours, and the addition of an on-site rentable cottage. Also helping out with the expenses of caring for aging Thoroughbreds are its numerous sponsors and grants from the TAA and Thoroughbred Charities of America. As the organization estimates 25,000-30,000 visitors this year, Blowen hopes to see Old Friends be financially viable without donations within the next few years, a goal that he thinks will catch the attention of IFAR's attendees and help pave the way for more retired racehorses. "If we can keep proving that these horses have economic value, then I think the chances of more horses having really great retirements increases exponentially," he said. "It's obvious to a lot of people that there's a real connection and there's a moral factor (with retirement). When you keep talking about 'We should do something' or, 'We can do something for these horses,' that's one thing, but if you can actually prove it dollars and cents-wise, it helps the horses' chances so much more, and that's what I really want to concentrate on."